A New Use for Evernote! 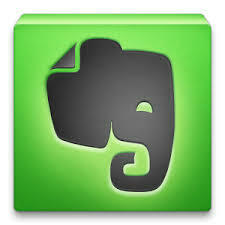 If you have spent any time with me in the last five years, you know I have become a fan of Evernote. Evernote is one of only two digital items I use to manage and run my business. Since I have been trying to "digitize" my personal life, I started scanning and taking pictures of everything from work expense receipts to the 100-a-day pictures my preschooler draws for me. (I take a picture of each one, put the date in the subject line, and file it under her "Scrapbook" folder.) My latest A-HA moment came to me this morning as I was saving them business card pics to my Business Card folder. I DID IT!! I completed a Monthly Challenge on 750words.com! FINALLY! I am ecstatic to report the fact that on 31 May 2014, I successfully completed a monthly challenge on 750words.com. I have made MANY attempts at this over the years. Some months I bail early on, perhaps within the first week. A time or two I got almost to the half-way mark and then ruined my streak. In May, as I neared day #15, I KNEW I had to make it through the month. I had come too far to wipe out. So, I stuck it out and finally completed the challenge. SIDE BONUS: I earned three badges along the way! This monthly challenge accomplishment TOTALLY helped me continue with my 365 Day Challenge.